Thyroid eye disease (Grave’s disease) is caused by infiltration of the periocular structures by antibodies that cross react with thyroid tissue and orbital fat or extraocular muscles. Common symptoms include: eyelid retraction, tearing, ocular irritation, redness, double vision, pain and loss of vision. Treatment modalities are individualized to the patient’s specific problem. When enlargement of the extraocular muscles and orbital fat in a closed bony cavity (the orbit) cause “strangulation” of the optic nerve, the goal of treatment is to relieve pressure on the nerve. This can be done with anti-inflammatory agents (steroids), radiation and surgery to enlarge the bony orbit. Enlargement of the extraocular muscles commonly causes deviation of the eye and double vision. These symptoms can be addressed with prism glasses or eye muscle surgery. Retraction of the eyelids is the most common physical finding associated with thyroid eye disease. When this causes cosmetic or functional problems with the eye, this can be addressed by lid surgery with or without the placement of spacer grafts. Patients with Thyroid Eye Disease must have a complete eye examination. The most important aspect of the examination is to determine whether compression of the optic nerve is present causing loss of vision. To determine this visual acuity, color vision, automated visual field testing and examination of the optic nerve head are performed. In addition, biomicroscopic examination including measurement of the pressure inside the eye is performed. It is not uncommon for patients to experience eyelid retraction of the upper and lower eyelids with significant protrusion of the fat pads around the eyes. The closure of the eyelids and amount of protrusion of the eyes are also measured. Most patients will also have neuroimaging studies (CT or MRI scan) done of their orbits. In addition, it is important to have blood tests to ensure normalization of thyroid hormone blood levels. Patients with evidence of visual loss are commonly treated with oral steroids to decrease the amount of inflammation. 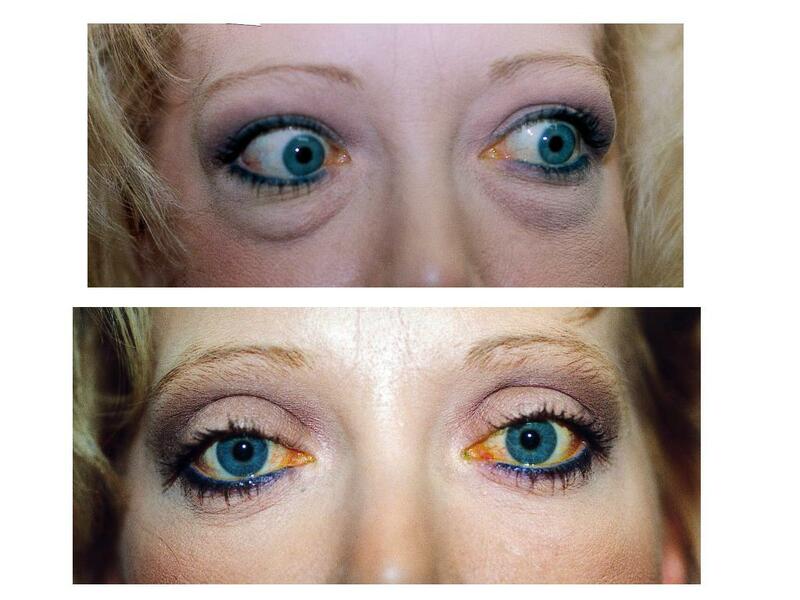 If the visual loss is significant or the steroids are ineffective, patients are offered orbital decompression. In some severe cases of visual loss or in patients who fail orbital decompression, we commonly recommend orbital irradiation. Patients without visual loss but evidence of dryness of the eyes are treated with topical lubricants and plugs in the tear drainage system. If this is ineffective we often times recommend orbital decompression and/or eyelid surgery to improve the corneal wetting due to improved eyelid closure. Deviation of the eyes are measured. 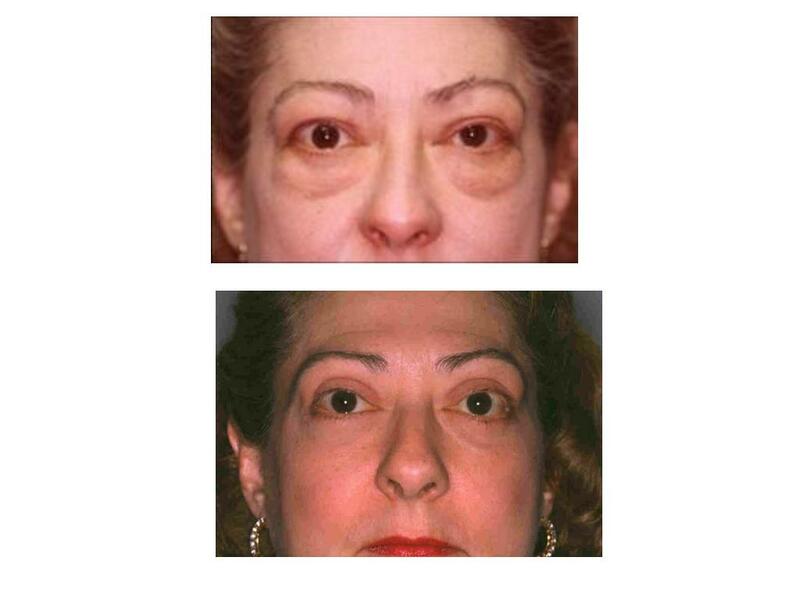 If significant deviation of the eyes is present, it is allowed to stabilize for approximately 6 to 9 months. Once this occurs the ocular deviation (causing double vision) is treated with prism glasses or patients are referred to an adult Strabismus specialist for eye muscle surgery. In patients that are deemed to require orbital decompression, patients are asked to arrive 1-2 hours prior to surgery. This allows the nursing staff to draw appropriate lab work, start an IV and answer any further questions you may have. An anesthesiologist will discuss anesthesia prior to surgery and answer any questions you may have. Some patient can expect an overnight stay after surgery. Surgery generally lasts 1 1/2 to 2 hours and each eye operated on will be patched shut. Patients that undergo eyelid surgery can expect to have a short outpatient stay. Similarly patients are asked to arrive 1-2 hours prior to surgery for appropriate lab work. In general the patients eyes are not patched shut but a dressing is placed on the eyelid only. Surgery lasts approximately 1/12 – 3 hours. After orbital decompression the patients dressings are removed at 24 hours. The patient may be instructed to clean the wounds with a sterile saline or hydrogen peroxide solution and antibiotic ointment is placed in the eyes and on the wounds twice daily. Patients are generally started on oral antibiotics and pain medication. It is not uncommon for patients to be placed on oral steroids for a short term after surgery. A follow up appointment with your physician will be scheduled within 5-7 days. Postoperative care after correction of eyelid deformities is individualized to the patients specific abnormality. It is not uncommon to be instructed to leave an eye patch on for 24 hours. The patient may be instructed to clean the wounds with a sterile saline or hydrogen peroxide solution and antibiotic ointment is placed in the eyes and on the wounds twice daily. Many patients are treated with oral antibiotics for 5-7 days after surgery. A follow up appointment with your physician will be scheduled within 5-7 days. Orbital decompression surgery is major surgery and entails significant risks. For these reasons, we carefully screen which patients we think are candidates for orbital decompression surgery. Risks of surgery include but are not limited to the following: bleeding, infection, scarring, double vision, loss of vision, pain and eyelid deformity. Bruising and swelling are common and usually subsides within 1-2 weeks. Inability to close the eye is also common during the first 1-2 weeks. Significant scarring and pain are unusual as is infection. As with any surgery in and around the eye, there is a risk of loss of vision. Any significant postoperative bleeding, pain, redness or visual disturbances must be reported to your physician.